At SLU, students launch satellites and study how life might arise on distant moons devoid of oxygen. It’s hands-on learning that they then take with them into their careers beyond the classroom. 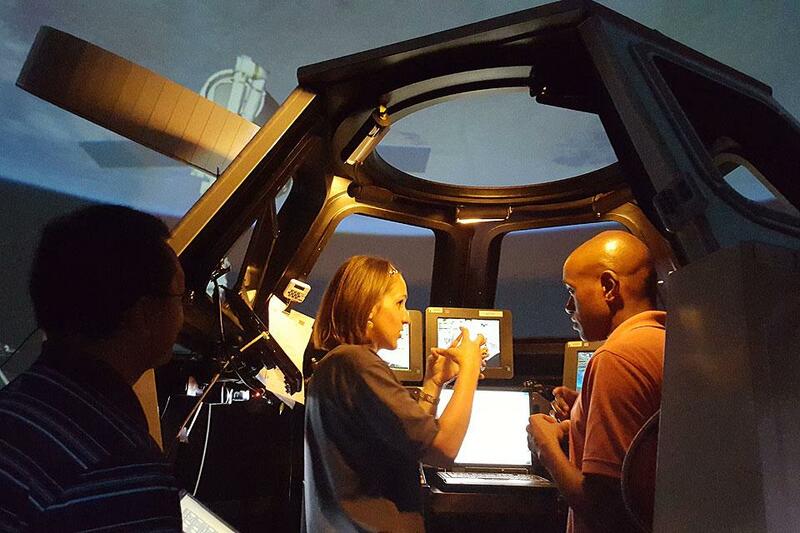 With storied alumni, novel research and cutting-edge teaching, Saint Louis University students, alumni and faculty members are building on a legacy of innovation to find solutions to the new challenges humanity will encounter through space exploration. Students who graduate from SLU join a long list of those who have helped advance mankind’s reach into the cosmos. Alumni from Parks College of Engineering, Aviation and Technology have helped launch every NASA manned mission. In 2018, alumnus Fernando Abilleira (Parks ’99, Madrid ’01), worked on the Mars Insight Mission, helped form, design and implement the groundbreaking mission to the Red Planet. SLU alumni who helped put America’s astronauts in orbit received a special ‘thank you’ from Buzz Aldrin before a packed house at SLU’s Center for Global Citizenship in 2017. He gave a special nod to members of the “Old Mac Club” – former employees, including SLU alumni, of McDonnell Douglas (now Boeing) – who helped put him and his crew members on the Moon. As a child, alumna Morgan Elliott (Parks ’15) didn’t dream about blasting off into space. 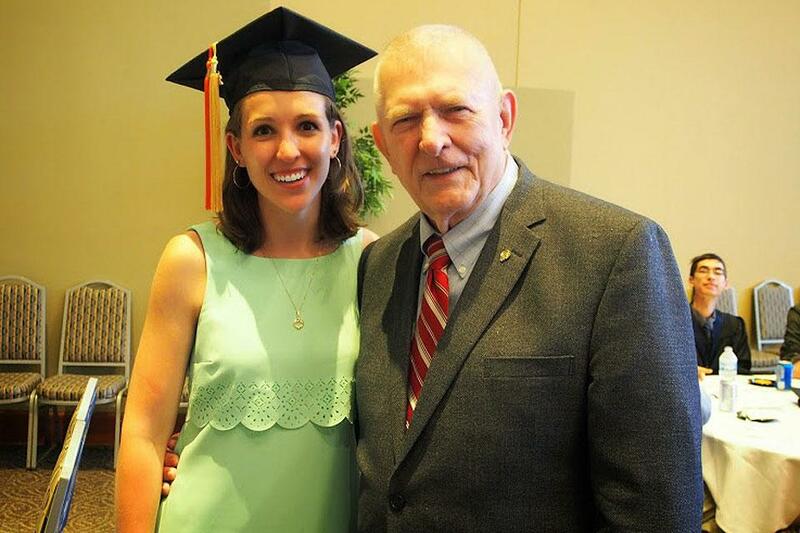 She was focused on engineering and patient health as she grew older. However, as she pursued a degree in biomedical engineering under the mentorship of Professor Gary Bledsoe, Ph.D., and faculty members in the School of Medicine, she applied for a NASA internship through the agency’s Minority University Research and Education Project (MUREP). 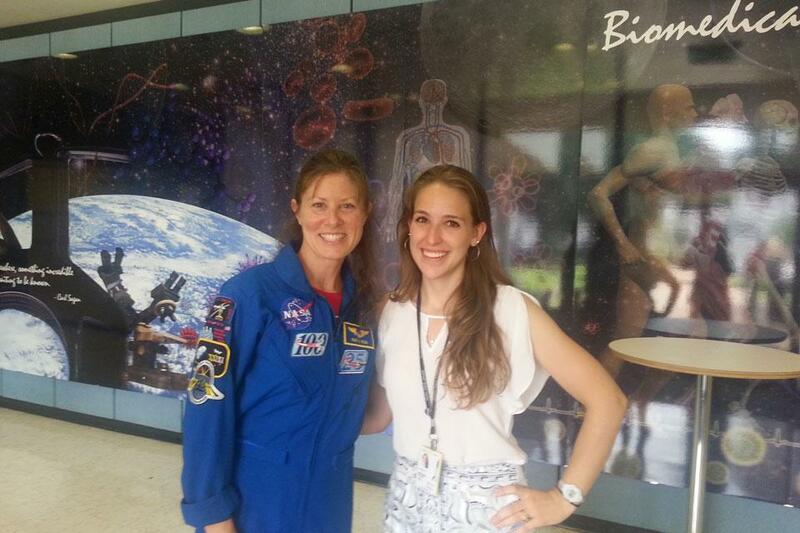 Over two summers, Elliott interned as NASA’s Johnson Space Center (JSC) Cardiovascular Laboratory. As part of the internship, she learned about the center’s work and analyzed arterial mechanics of the vascular walls during head-down-tilt bed rest, a ground-based simulation of microgravity. Her work at SLU and NASA led her to her current work as a doctoral student at Johns Hopkins University. While launching satellites and guiding astronauts are parts of SLU’s space story, students and faculty members are also looking beyond our planet to answer some of universe’s biggest questions like how life originates from a mix of chemicals. That’s exactly the question that Paul Bracher, Ph.D., assistant professor of chemistry in SLU’s College of Arts and Sciences, and his students investigate daily in his lab. Bracher has received National Science Foundation and NASA funding for his work on the origin of life. His lab is one of 10 nodes of the Center for Chemical Evolution, a national project headquartered at Georgia Tech that focuses on determining how the building blocks of life first assembled into complex biomolecules. Bracher and his students are currently looking how life might emerge on a moon like Saturn’s Titan, where methane, rather than water, is the dominant liquid. Learning more about how life’s building blocks like amino acids assemble can ultimately tell us more about how life started on Earth while also guiding future space exploration, Bracher said. 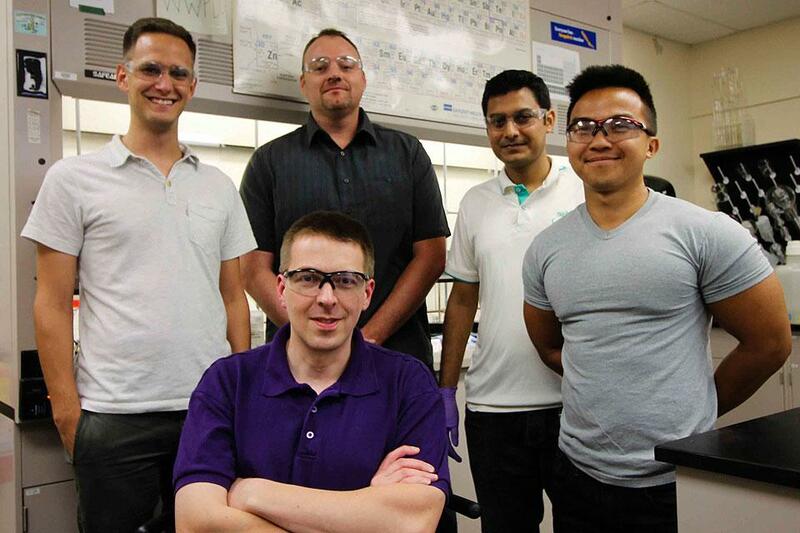 Both undergraduate and graduate students work with Bracher as training the next generation of researchers involves getting into the thick of chemical processes and reactions. SLU alumnus Thomas Campbell, Ph.D., (A&S Grad ’18) found earthly applications for the skills he learned working with Bracher on origin-of-life questions. Now an analyst with Kantar Health, a global health care consulting company, Campbell sees his work unraveling one of science’s most formidable challenges – how life begins – as helping him tackle career challenges more effectively. Working as a NASA fellow during his graduate work, he continued, taught him the value of communicating clearly. Winning the competitive NASA Earth and Space Science Fellowship while at SLU, he said, was his proudest achievement, one he credits to the mentoring he received as part of the Bracher lab. “It’s exciting to see space-related research at SLU expand beyond engineering and into basic science,” he said. 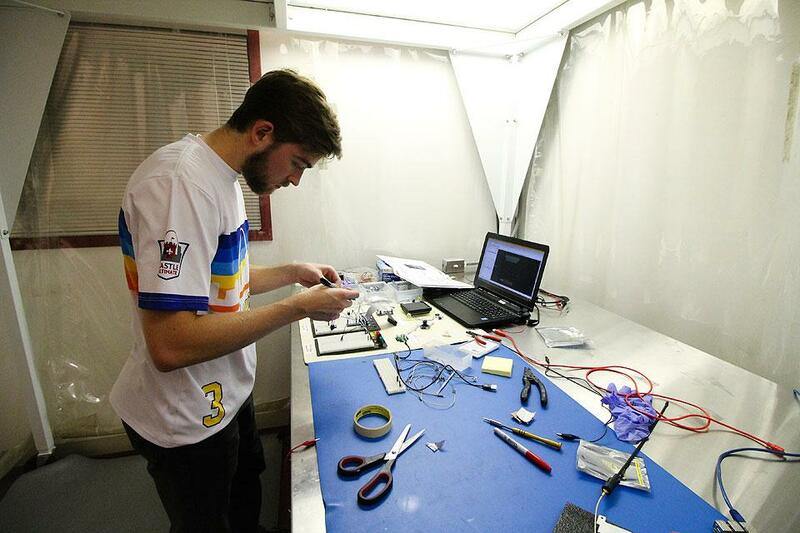 Just as SLU chemistry students explore life’s origins and its biomedical engineers examine how the circulatory system works in microgravity, Billiken engineering students are hard at work attempting to launch satellites into orbit. A team is currently at work on a CubeSat – a small satellite – that will launch in January 2020. If all goes well, it will orbit our planet and test a program that would sort image data. If the CubeSat fails, as a similar project did in 2015, to make it beyond the Earth’s atmosphere, the experience will still teach students valuable lessons, Swartwout, the project’s supervising faculty member, explained. 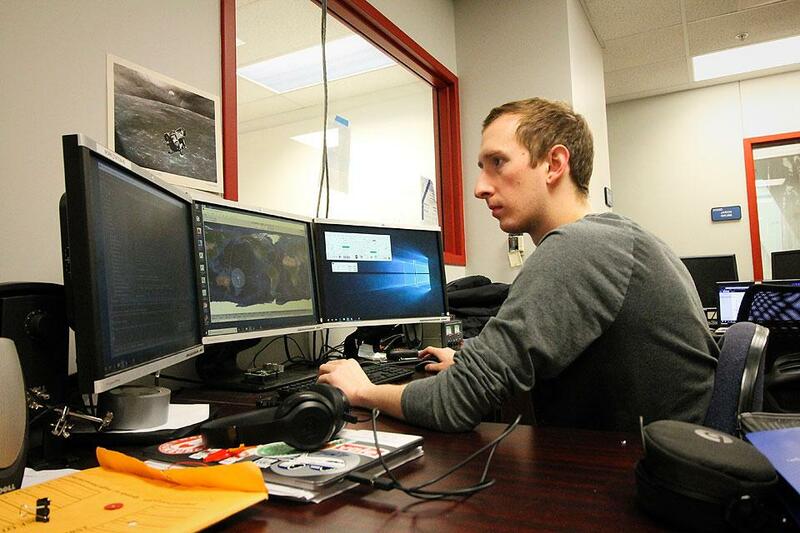 Flying and failing as a student, he continued, can ultimately make students more resilient employees for space industry employers because they’ve developed skills for coping with high pressure, high risk situations in their undergraduate work. 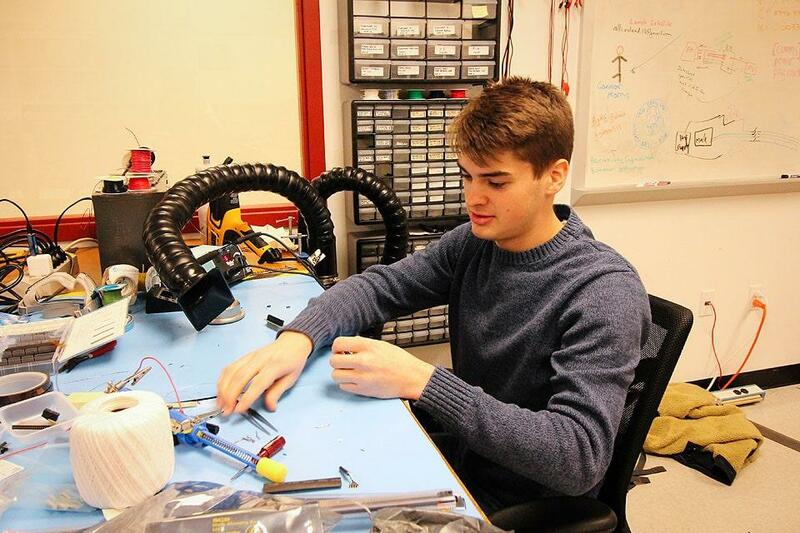 In the end, for Swartwout, the best way for students to learn is through the hands-on projects they undertake in SLU’s engineering labs. Those projects are informed by faculty member research, like Swartwout’s ongoing CubeSat database – a premier resource he developed that is used by NASA, the U.S. Air Force and space industry leaders. The research-informed, hands-on approach of SLU’s engineering classes gives its students an edge, he said, when it comes to seeking out professional and graduate opportunities. Saint Louis University is a Catholic, Jesuit institution that values academic excellence, life-changing research, compassionate health care, and a strong commitment to faith and service. Founded in 1818, the University fosters the intellectual and character development of more than 13,000 students on campuses in St. Louis and Madrid, Spain. Building on a legacy of now more than 200 years, Saint Louis University continues to move forward with an unwavering commitment to a higher purpose, a greater good.